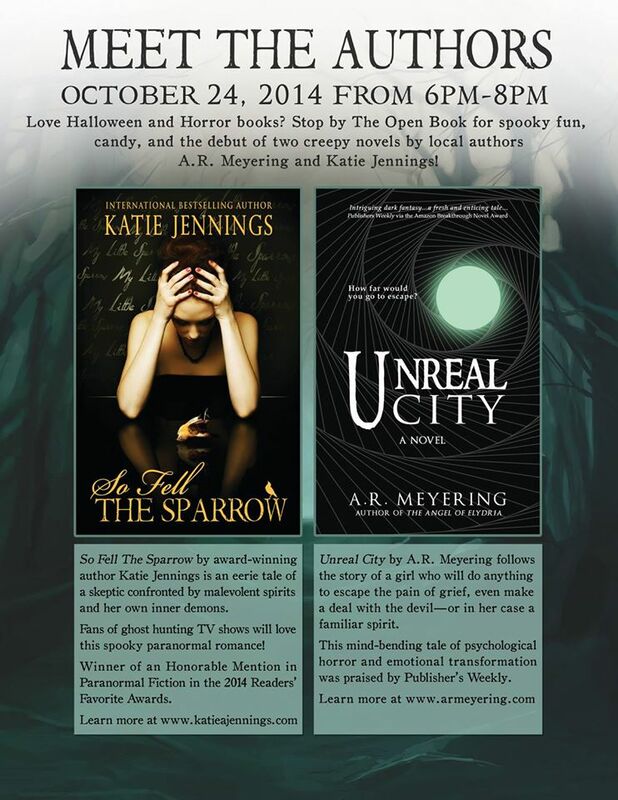 A Spooky Halloween Author Event With Katie Jennings and A.R. Meyering! 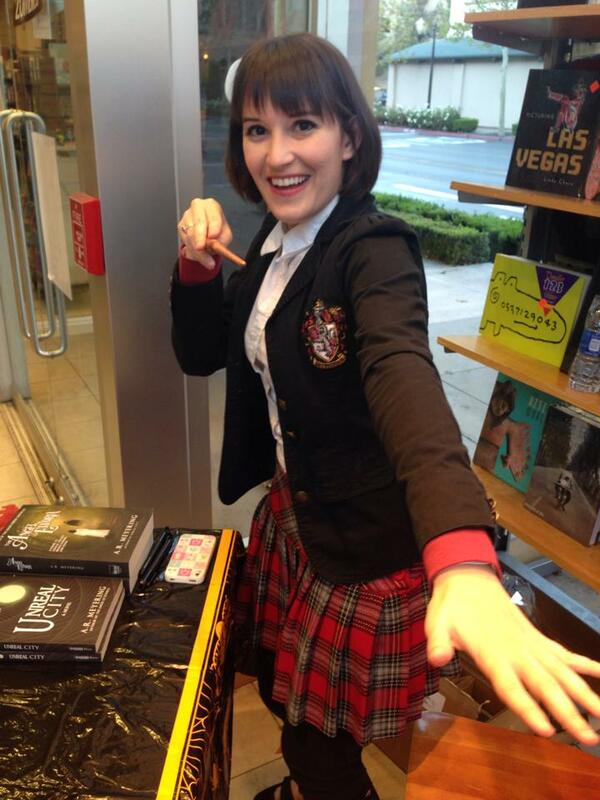 This last weekend at The Open Book bookstore in Valencia, CA, A.R. 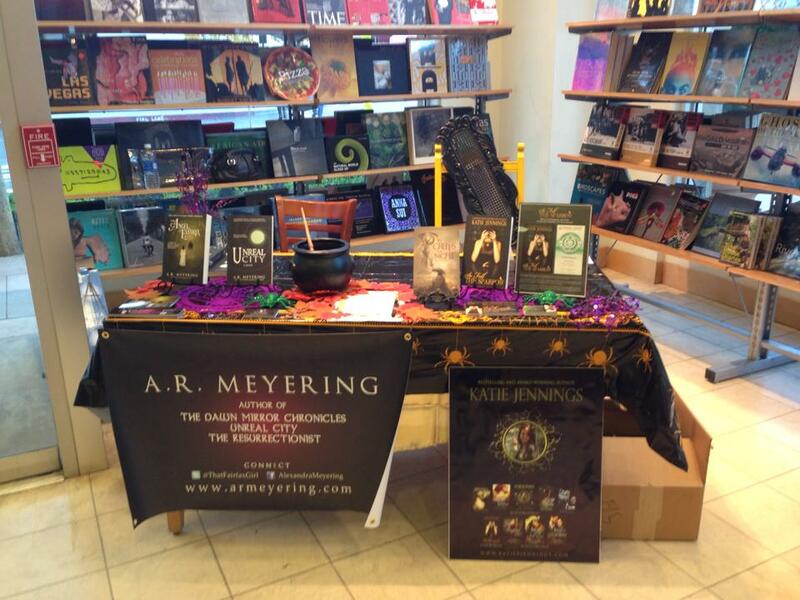 Meyering and I hosted another fun-filled book signing! 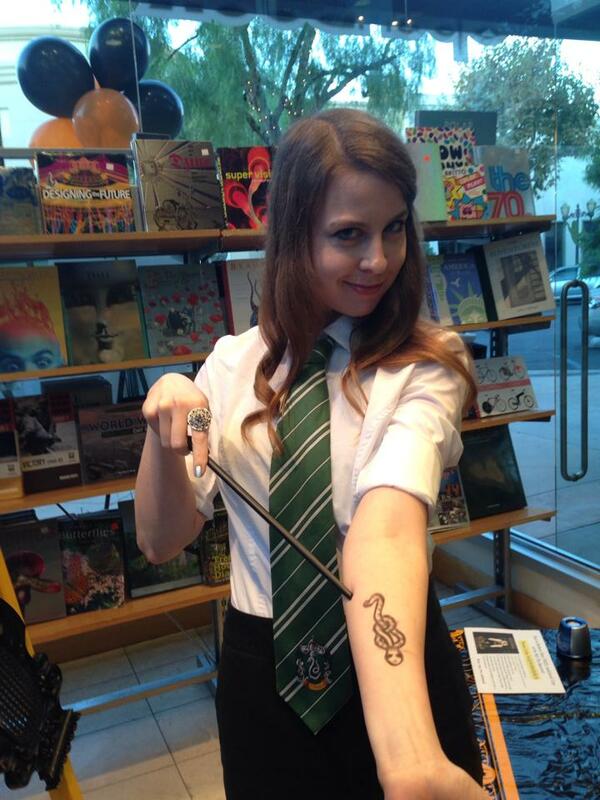 This time, we got to show off our nerdiness in Harry Potter costumes (it was Slytherin versus Gryffindor!) and pass out Halloween candy. We featured my paranormal romance So Fell The Sparrow and Meyering’s brand new dark fantasy, Unreal City, as well as the horror anthology we’re both featured in entitled In Creeps The Night! We had an absolute blast and wanted to thank everyone who came by to say hi and grab some signed books. Check out pictures from the event below. 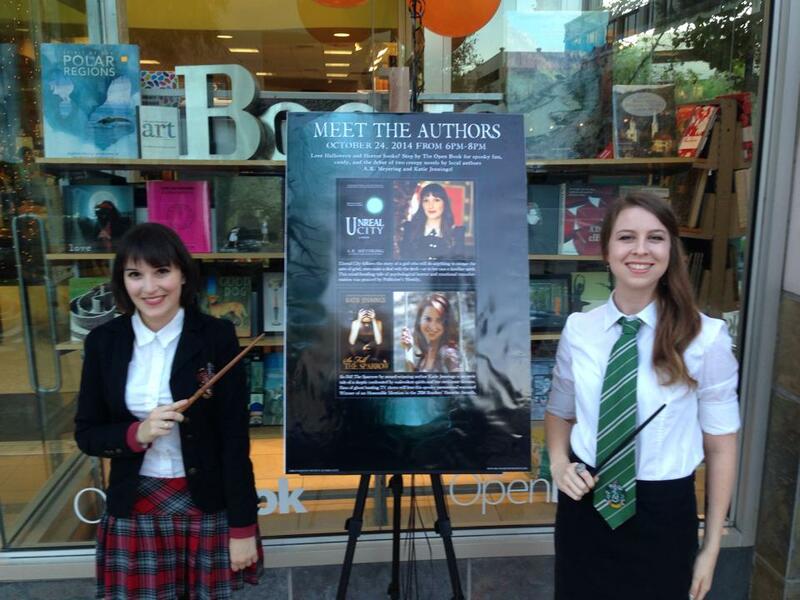 Thank you to The Open Book for hosting us, we were so honored to be welcomed to your store and can’t wait to come back! A. R. Meyering, author of the steampunk-fantasy series The Dawn Mirror Chronicles, is a Southern California resident and certified oddball. Her upcoming dark fantasy novel, Unreal City, was named quarterfinalist in the Amazon Breakthrough Novel award and garnered a positive review from Publisher’s Weekly. She is rarely without her pugs, Zuul and Vinz Clortho. She is proud to be an official Blue Harvest Creative Author. 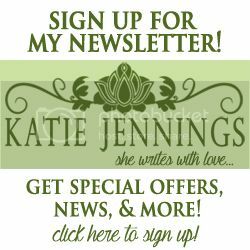 International Bestselling Author Katie Jennings is the author of nine full length novels, including the popular fantasy series The Dryad Quartet as well as the bestselling family drama series The Vasser Legacy. « HALLOWEEN GIVEAWAY! Spooky Paranormal Romance “So Fell The Sparrow” in eBook and Audiobook!